The Today’s Japan reporter visits an Osaka company that developed a sort of rudimentary VR system, building on a concept that originated with America’s space program. 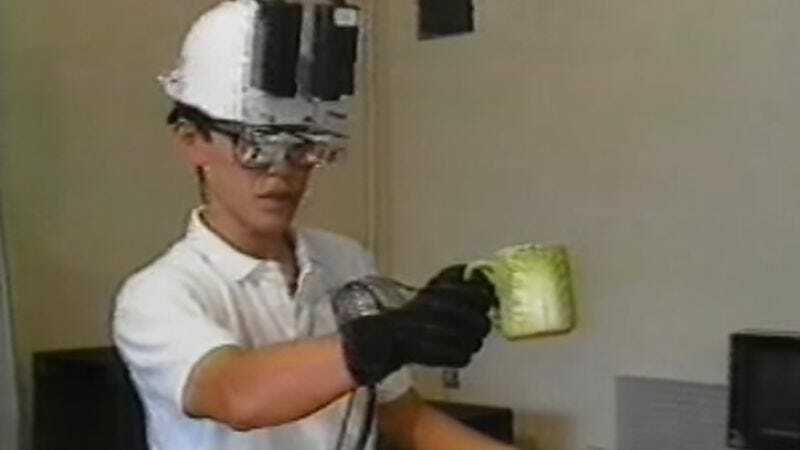 Then as now, the technology largely relies on people wearing clumsy, oversize headsets, referred to here as “special glasses” with a “liquid crystal television screen.” In those days, users were also required to don something called “data gloves,” which aren’t too dissimilar from some of the touch controls used by Oculus and Valve in their consumer VR hardware today. The segment tries to make a case for the potential usefulness of this technology by showing how doctors could examine their patients’ insides while seemingly looking at their outsides. This is not too far off from what some say the current influx of VR technology should be used for, a fact that does not stop the technology from looking even more nausea-inducing than what’s available today.